Police are appealing for information after a hit and run collision in Cambridgeshire. 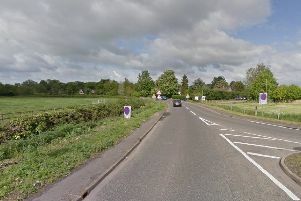 A black Range Rover collided with a pedestrian between 11pm and 12am yesterday, Tuesday May 30, in Cambridge Street, St. Neots. The pedestrian suffered minor injuries but was taken to hospital as a precaution. Anyone with information is asked to call police on 101, or Crimestoppers, anonymously, on 0800 555 111 quoting incident 638 of May 30.